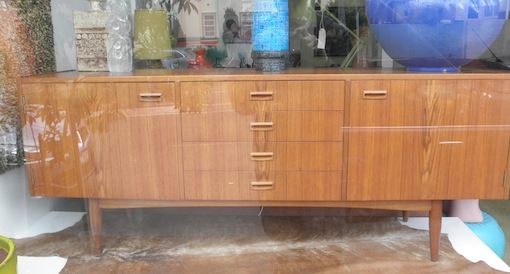 This teak sideboard was made in Melbourne by Chatterley furniture in the 1960s. It has that perfect long low proportion that makes these pieces desirable as entertainment units and the size makes it great storage items. 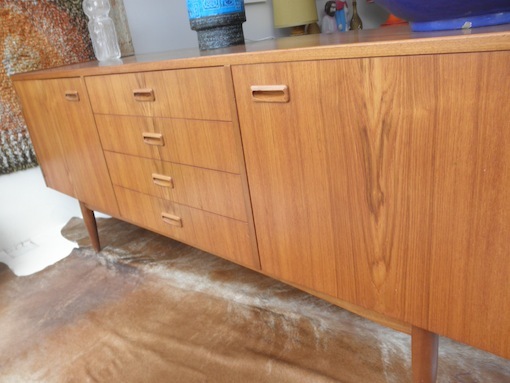 It has been kept in great condition, has incredible figured grain in the veneered surfaces and would be one of the best value quality teak sideboards in Melbourne. We always have a good range of sideboards so ask us if you are after something different.